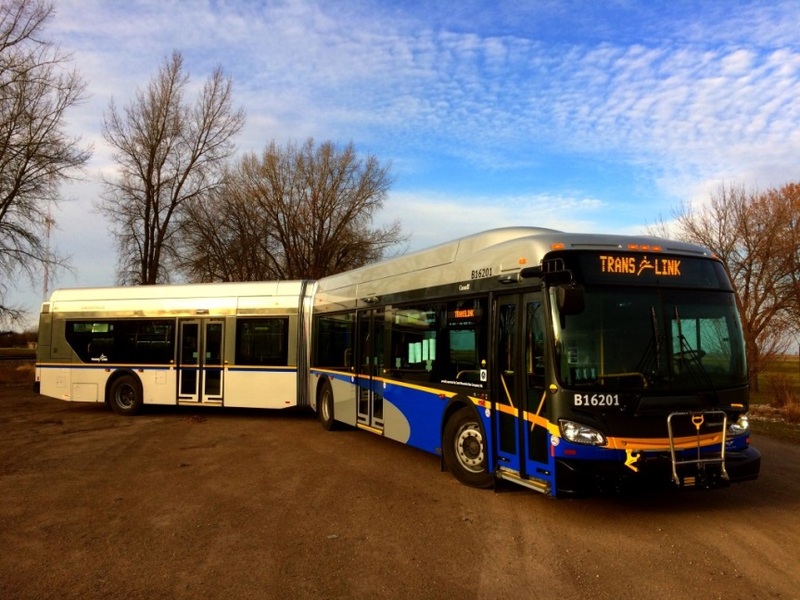 TransLink is rolled out 26 new hybrid diesel-electric articulated buses in the month of April, with the first batch that arrived in time for Earth Day. These New Flyer XDE60 buses will be based at the Burnaby Transit Centre and serve nearby B-Lines as well as other high-occupancy routes. The buses are replacing diesel models that went into service 17 years ago. These hybrid buses use 17% less fuel than equivalent diesel-powered models, and join 21 hybrid articulated buses added to the fleet in May 2016. With the new additions, TransLink will now have 252 hybrid buses in service in Metro Vancouver in addition to 262 zero-emission trolley buses. In 2015, we received Platinum status for sustainability from the American Public Transportation Association (APTA), a first for a Canadian transportation agency. Hamilton Transit Centre, which opened September 2016, is LEED Silver certified thanks to features including LED lighting, radiant in-floor heating, waste water treatment, and a heat-reflective roof. Our bus wash system uses reclaimed water for the majority of the wash cycle. Fresh water is only used for the final rinse, reducing water used by ~75%. We have been upgrading our facilities by converting to LED lighting and doing mechanical/control retrofits to make them more energy efficient.